Order in a few clicks.No answering machines, fax machines and more confusing web shops. So no errors! 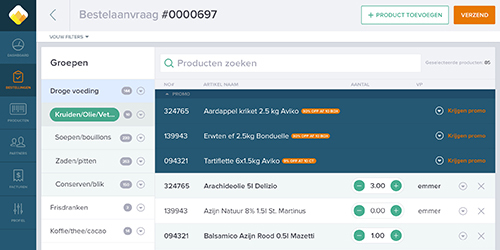 In Growzer you can easily create order lists for all your suppliers. (If necessary, choose the right promo.) Just change the quantities and submit your order. The supplier receives it immediately. You’ll get a confirmation in real time. Are you tired of folders full of invoices, are you having difficulties finding them? Which invoices are paid, which ones are at your accountant? Simply scan all your invoices andstore them within the Growzer application.It’s all simple: approve, pay, search them – and send them to your accounting package. So you can save time and money! 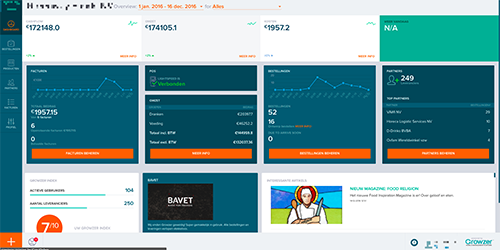 All sales data, direct and indirect costs in one convenient dashboard? Always and everywhere! That’s the unique benefit Growzer can offer you. Catering businesses and consultants with years of industry experience have helped us to display all the key figures at a glance. Revenue and yield for food and beverages, tops and flops and cash flow: this is the compass of your company. You don’t need gut feeling anymore to make decisions! “Growzer is the solution I waited so long for.” – Greenway, Paul Florizoone. The Belgian hospitality sector is unique for its wide range, quality, diversity and regional nature. 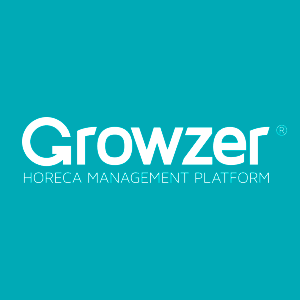 Growzer aims to ensure the future of the sector by developing and supporting innovative online management applications. This will enable us to make the specific processes between hospitality businesses, wholesalers and producers more efficient. With higher performance as a result.